"A fun festive tale, flush with small-town warmth and tongue-and-cheek charm. The main characters are worth rooting for, their conflicts solid and riveting . . . The tone is sweet, yet sexually charged--that kiss in the closet could power Rudolph's nose for an entire year." "The Trouble with Christmas offered the perfect elements to make a tale memorable, from the town folks to the drama I was completely captivated. 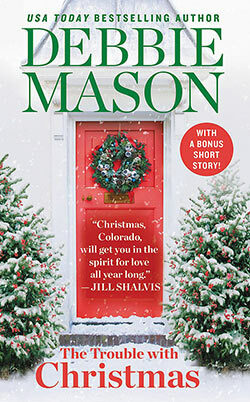 Mason did a wonderful job of bringing Christmas, Colorado to life, and I was beyond tickled to learn this will be a new series. Besides the humor, off key singing and stolen kisses, Mason also gives us hope, joy and the holiday spirit as the town changes Madison and she in turn changes the town." "I loved the author’s writing style and the characters were extremely believable. I also loved the little town of Christmas, Colorado and felt it was a real town I was reading about. Ms. Mason penned a great novel, with plenty of humor mixed in, that will keep her readers eagerly turning the pages for more." "...A wonderful story to read this holiday season, and a timeless romance. This is one of those novels readers will enjoy each and every page of and tell friends about." "It has everything that I love in a novel … comedy, a great story, amazing characters and drama. I can’t say enough good things about this book. It’s a fun holiday story that will make you laugh and also renew your faith in the magic of Christmas." 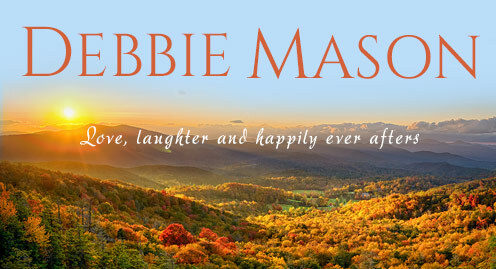 "Debbie Mason has created a humorous, heartwarming tale that tugged at my heartstrings while tickling my funny bone."